Are you up on your IEC 60335 and IEC 60730 standards? No? Uh-oh. Better not be designing dishwashers, then. 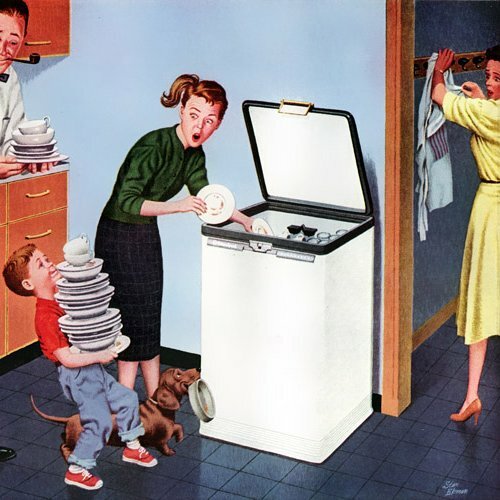 Those standards are just two of the many that apply to so-called “white goods:” dishwashers, refrigerators, washers, dryers, and other major home appliances. The text of IEC 60335 runs 148 pages, and that’s just the English-language version. In all that verbiage it never uses the words “microcontroller” or “MCU,” yet it nevertheless applies to digital designers creating or programming the controls for these devices. What’s a poor white goods developer to do? The good news is, the bulk of these (and other applicable) standards are concerned with mechanical design, not electronics. The other good news is, some MCU vendors are providing some free advice. Among the latter category is Energy Micro. You remember these guys; they’re the Norwegian company that makes more than 100 different Cortex-M3–based microcontrollers inexplicably called Gecko. The chips are nice, and they are based on the same ARM microcontroller core as a dozen other vendors’ parts. What sets the Gecko chips apart is their low power consumption, says Energy Micro’s Oyvind Grotmol, who bears the charming title, Vice President of Simplicity. But now Energy Micro is also providing free software that just might help you squeak past the IEC 60335 and 60730 inspectors. It’s not a panacea by any means. In fact it’s just a set of MCU self-test routines. Basically, it demonstrates that the MCU itself is working as expected and that it’s not about to make the machinery explode. Getting the other 95% of the dishwasher through certification is still your problem, but at least the free self-test software gets you a step closer. Each energy-harvesting device measures about two inches on a side and puts out somewhere between 300µW to 5 mW, depending on the temperature difference between the two materials it’s attached to. The air-to-air one, for example, has a big heat sink on it that kind of works in reverse, harvesting energy from the ambient air. (Put it inside your Intel Xeon computer and create a perpetual-motion machine!) The water-to-water device clamps to a pair of half-inch or three-eighths pipes, while the water-to-air has one of each. Although Marlow doesn’t offer any, you can also find piezoelectric energy harvesters that get their power from motion. Strap one of these to an average washing machine, and the electronics ought to run all day with no added power. In a sense, you’re powering the electronics from a big A/C motor. Counterintuitive, perhaps, but effective. Marlow’s devices are intended for remote-sensing applications, where you’ve got a pressure transducer (for example) at the far end of a long pipe and need a way to power it. Rather than run wires down the pipe just to supply a few milliamps of current, an energy harvester uses the fluid in the pipe itself to power the transducer. It’s especially useful if the sensor transmits its data wirelessly. You’d need no wires at all. The clever bunnies over at Cypress Semiconductor have spun out another version of their CapSense chip family. You’ll recall that these are capacitive-touch controllers you can use to, well, add a capacitive-touch interface to your design. The new chip, with the mellifluous name of CY8CMBR2016, is intended for a simple 4×4 matrix of buttons. A keypad, in other words. This is just the thing if you’re designing a security keypad or something that has just a few buttons. The ’2016 even handles simultaneous key presses, so you can get clever with shift- or special-function keys. The chip costs about a dollar, so it’ll probably be one of the cheapest parts of your system. Oh, sure, there are lots of ARM Cortex-based microcontrollers out there. There are even a lot of chips based on the Cortex-M4 architecture, the one with the DSP features baked in. But how many of them can claim 168 MHz clock speeds? Behold, the STM32-F4 series from STMicroelectronics. All four chips in the new miniseries use the same Cortex-M4F MCU core, all run at 168 MHz, and all have 1MB of flash and 192 KB of RAM. And—get this—all four have floating-point units as well. If you’re into measuring furlongs per fortnight, all four crank out 210 Dhrystone MIPS based on ARM’s standard 1.25:1 conversion factor. Feeding the memory needs of a processor at 168 MHz can be a bit of a trick; feeding it out of flash memory is even trickier. To avoid stalling the MCU core, ST buffers its on-chip flash with a spiffy memory controller it calls the ART (Adaptive Real-Time) Accelerator. ART essentially prefetches instructions out of flash so that the processor won’t have to wait for each and every opcode to be hand-delivered. Instead, ART assumes (quite reasonably) that the Cortex-M4 will probably fetch code in a straight line, so fetching ahead by several sequential instructions is almost always a good use of time and energy. If you’re already an STMicroelectronics customer and you’re using the company’s STM32-F2 series, you’ll be happy to know that the F4 chips are pin-compatible with the F2 chips, a nice feature that’ll make upgrading much easier. I did some robotics work for awhile, and the safety standards were incredible. What’s the worst standard or specification you’ve had to work with? Thanks Jim for your great review, very much appreciated. ‘Inexplicably called Gecko?’ Humour me please by letting me explain why our MCUs are just so called. Now a Gecko’s an ectotherm (a ‘cold-blooded’ animal), needing very little food and energy to survive. Compared to an endotherm (a warm-blooded animal) of the same size, its energy requirements can be some 20 times less. As such it is far better adapted to situations of low food or energy supply. It’ll remain motionless, asleep for hours at a time, suspending its response to external stimuli, until it detects a satisfactory reason to use its great speed and agility to spring into life and catch its fast moving prey. No surprise then that these highly efficient critters can survive in the wild for as long as 20 years. In many ways then our Energy Friendly EFM32 Gecko MCUs are synergetic in their behaviour. Their many ultra low power peripheral function blocks (e.g. 8×36 segment LCD controller at only 0.55 microamps) can operate autonomously, enabling the CPU to stay asleep, while a unique ‘peripheral reflex system’ means peripheral can talk to peripheral without any CPU intervention. Wake-up time from an ultra low power (400nA) sleep mode is as quick as 2 microseconds and then the ARM Cortex M3 ´s active power consumption is as low as 160microamps/MHz. End result? The Gecko MCUs (we’ve actually got 180 of them now) are all-round energy savers helping designers of energy sensitive products to extend battery cell life. Ah. And I thought it was because they stuck to the wall.